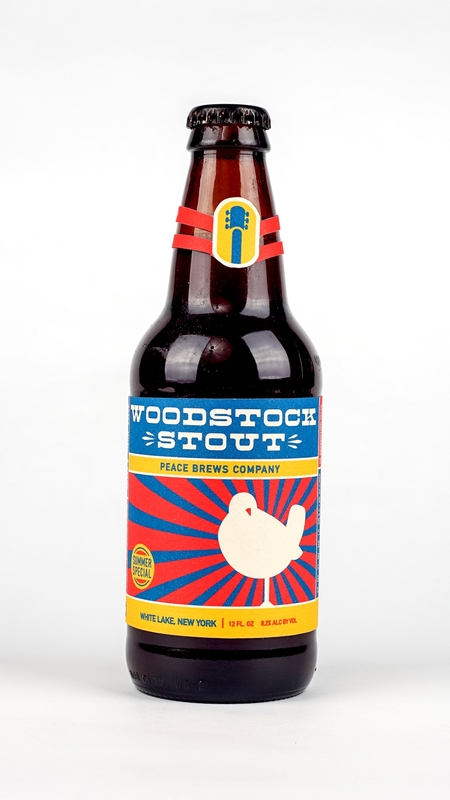 Woodstock Stout from Peace Brews Company is a seasonal craft beer inspired by the Woodstock Music and Arts Fair of 1969. The fair was held in White Plains, New York and was billed as "An Aquarian Exposition: Three Days of Peace & Music". Under that marker the exposition attracted over 400,000 people and became an icon of 1960's counterculture. To this day, Woodstock is considered a pivotal juncture in music history. I wanted to honor the spirit of the exposition, while putting a contemporary spin on its aesthetic.